Leading up to The Market Research Event, we’ll profile the keynotes, tracks and themes at the 2011 event. Over the next few weeks, we’ll be looking at the exciting keynote sessions. For more information on TMRE, taking place November 7-9, 2011; in Orlando, Florida, download the brochure now. If you register using code TMRE11BLOG, you can save $400 off of the standard registration rate! This rate is only available until August 19, 2011. About the session: In this engaging keynote session, Mary will discuss how Starbucks is using consumer insight to drive corporate strategy for both organic and inorganic growth. As SVP of Global Corporate Strategy, Mary is accountable for developing the strategic framework for the global business with a consumer centric lens, identifying opportunities to deliver the greatest value to the enterprise, and driving cross-functional and multi-business initiatives. 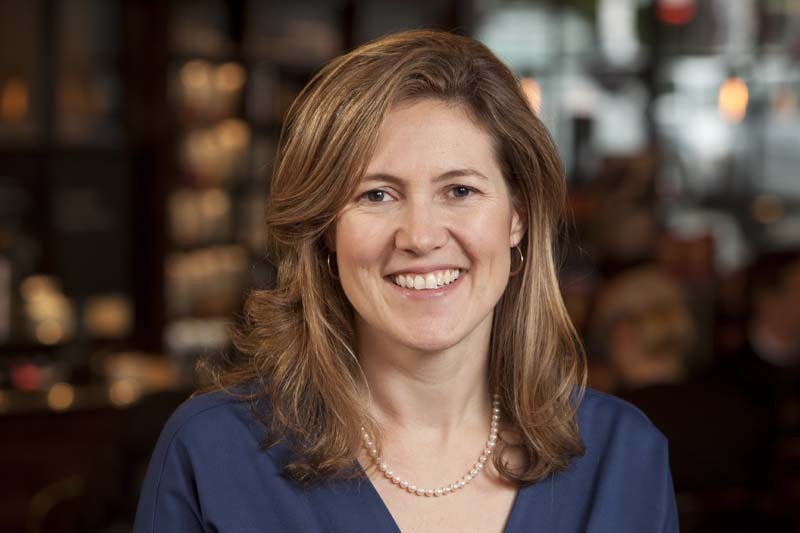 In addition, Mary works to develop retail and channel strategies that directly support the future vision of Starbucks. Few things irritate me more than being subjected to a poorly designed survey. Sadly, I didn’t qualify, or this post would probably be much longer. Instead, the screener will have to do, and I’m sure you’ll agree it speaks volumes about the instrument that likely followed, not to mention the irresponsible knuckleheads who created it. 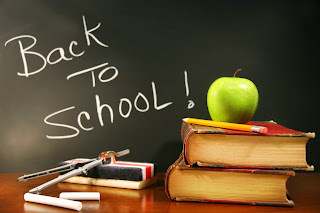 Before I rip into the Chicago Board of Education as promised in the title of this post, I’m obliged to note that I’ve been unable to determine that CPS is beyond a doubt the party responsible for the survey in question, although I suspect as much. But more often than not I just left messages’lots of messages’that went unanswered. What I can tell you is that someone purporting to represent CPS called me two weeks ago and asked me to participate in a survey, to which I agreed and was subsequently barred after TWICE submitting to a ham-handed screener. Why, oh why, didn’t I just lie? At least that way I might’ve gotten past the screener and to the bottom of this mystery. I knew something fishy was afoot when my caller ID could not identify the source, except to tell me that this was an Illinois call with an 800 prefix. My sense of civic responsibility prompted me to say ‘yes,’ at which point the fun began. So’apologies for the acronym, as this is a family-friendly research industry blog’but WTF?!? My request? Try back later?! ?You called me. Not two minutes later, the phone rang again! Now they had my complete attention, and you bet I picked up. This time, I made it past the Cook County resident question to the following: ‘Do you reside in the City of Chicago? Please say ‘yes’ or press one to proceed.’ I pressed one. I said no’even though it wasn’t an option on the menu’and was then asked if I was the grandparent of a child who currently attends public school in Chicago. Nope. ‘We’re sorry, but you do not qualify for this survey. Thank you.’ Click. How rude! The only thing worse would’ve been for them to substitute a four-letter expletive that rhymes with ‘thank’ before hanging up on me. As a childless blogger and taxpayer, I was shocked by this unceremonious rejection. So I dialed the number on my caller ID to vent my outrage. But as you might’ve already guessed, the number I dialed did not accept inbound calls. I spent the next 15 minutes fuming, stroking my phone like a loaded gun and praying for them to call back. Alas, it wasn’t meant to be. Technical difficulties aside, this was a frightening screener for several reasons, not the least of which was the sheer stupidity of its design. Why bother asking me if I live in Cook County when what you really want to know is if I live in Chicago? You can’t live in Chicago without living in Cook County, so the first question is moot. Moreover, why not just tell me upfront that you are conducting a survey among parents and grandparents of children who currently attend public school in Chicago? It would’ve spared me the trouble of taking the screener in the first place. And who exactly is the ‘we’ in ‘We are conducting a survey for Chicago Public Schools’? The sponsor might be implied, but never actually identified itself. Nor did the sponsor provide a phone number or URL so that a respondent might verify that this is a legitimate source before answering questions about a relatively sensitive topic: a person’s child or grandchild. Maybe I’m too sensitive, but as someone long affiliated with the research industry who cares about its viability, respondent abuse agitates me. They don’t grow on trees. The technical glitches, the bumbling, amateurish design, the inadvertent or perhaps even deliberate concealment of the sponsor, and the abrupt kiss-off at the end not only aggravated me; it all worried me. The telephone is still a staple modality for academic and government survey research. This screener in my opinion is a weapon of mass destruction. It erodes people’s trust in survey research, which for telephone is already abysmal thanks to telemarketers, suggers and push pollsters. But what really chafes me is that I’m confident that this folly was in all likelihood sponsored by my local government’which means my tax dollars paid for it’on behalf of our public schools. Anyone who has lived here and has dealt with the city would probably agree that this screener screams Chicago. Cumbersome, confounding and with a callous disregard for people’s time and feelings, it’s got all of the hallmarks that endear us Chicagoans to our bureaucrats and politicians. It’s just so irresponsible. And can you image how flawed and potentially misleading the results will be? I shudder to think what they’ll do with them. The next time you hear some high-fallutin’ ivory tower type bash commercial research, please let me know. I’ll gladly pay for a one-way bus ticket to the windy city, where the weather isn’t the only thing that blows. 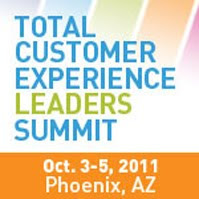 In the weeks leading up to the 2011 Total Customer Experience Leaders Summit we’re going to be hearing from some of the speakers. In our interview, Cushman said “what keeps me challenged is the rate of change.” Hear more about the changing customer experience world, by listening to the podcast here. Market Research Leadership – Where’s the beef? About the author: Christian D? ?ssel is blogging about market research in German language here and here. After having worked for TNS, TBWA and other strategy and market research agencies he now holds the position of Senior Research Director at MM-Eye in Hamburg / Germany with special responsibilities for MM-Eye’s new media and online research approaches. Recent research shows that market research is increasingly affected by a positioning problem. For example the current Green Book Research Industry Trends Report mentions the fact that the proportion of those who describe the importance of market research as declining, has increased within six months by 20 percentage points. Only every second expert assigns a rising or at least constant importance to market research. All in all it seems that perception of the relevance of market research suffers. The reasons for this development are manifold. In addition to external factors such as the financial and economic crisis there are also some internal factors to be identified. In general declining relevance is a consequence of lacking clear added values. That’s valid for brands as well as for companies, and this is also true for market research. On the one hand this can be explained by the constantly increasing number of competitors for market research. Boundaries towards other players such as consultancies, advertising or strategy agencies become fluid. On the other hand, fueled by the increasing importance of the internet, technological service providers play an increasingly important role. One of the most striking examples for this is the rise of online research communities. Different to for example a representative CATI-survey an online community project is not naturally located in the area of market research competence. It often happens that the marketing itself, supported by IT and technology department / supplier, puts on such projects. Consequently classical market research role models and thought patterns are questioned. Requirements concerning market research therefore are constantly changing. It becomes increasingly difficult for the industry to keep up with the pace of developments and to find the right positioning. Someone who has accepted this challenge is IIR USA, the organizers of this year’s “The Market Research Event 2011″ in November in Orlando. This conference has it all, a first glance at the program (which you get only when you specify name and e-mail address) is sufficient piece of evidence for that. From my point of view the combination of diverse and interesting topics makes the TMRE 2011 very attractive. Nine different tracks – from “Market Research & Leadership Insights” and “New Tools & Breakthrough Methodology” to “ROI & Measurement” show the full spectrum of recent challenges and how one can deal with these new approaches, innovations and ideas. While promising “connecting to the best insights from around the world” the TMRE helps in positioning market research and to re-strength, win back or even expand relevance. And this is something where we all can benefit and gain a lot. It feels like I have been stuck in constant “so cool!” mode lately when it comes to all the new location-based apps and programs that are being released. Lead by pioneer Foursquare, which recently announ ced that it could boast of 10,000,000 members, new location-based services are popping up all over. 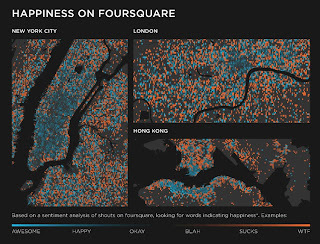 Pictured: Happiness on Foursquare. Part of this amazing infographic. I participated in #CMGRchat recently via our @Community20 twitter account wherein the topic of discussion was “how to take your online community offline” and location-based services seem like one way to get moving towards that goal. With that in mind, I decided to take a look at some recent developments in location-based technologies. 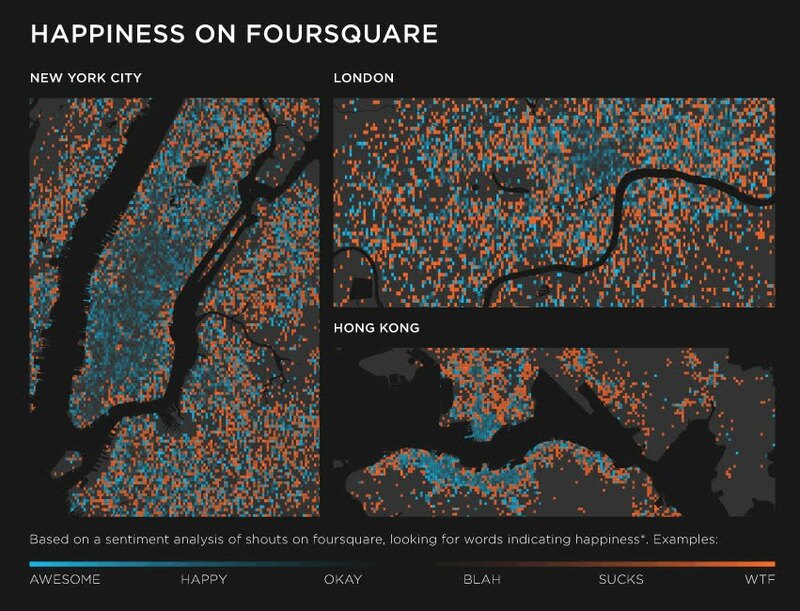 Some, like the very promising Sonar app, actually build on top of Foursquare to help bring connections to real life. Sonar allows you to connect in real time with those that are nearby based on social media connections or mutual interests. (I’d love to see this particular app put to use at an upcoming #SocialC20 event as it becomes more developed). Another interesting development is the integration of location-based data with photography. Starting with applications like Color and Instagram a host of possibilities has opened up regarding how photography can be shared. This week I came across two such examples. One, Instaprint, is a photobooth that combines Instagram with a localized hashtag to print Polaroid-like photos. Talk about taking the online offline, this is a perfect example of a fun, ice-breaking activity for a meet-up. Another example is this case study of the Great Wolf Lodge chain of waterpark resorts.The resorts use RFID wristbands to allow visitors to share vacation photos directly to their Facebook walls. This struck me as a really innovative way to create instant brand evangelists. One more trend I have noticed is that of location-based technology blending with social games. The U.S. premiere of Shadow Cities seems to be setting the game up to become the next “Angry Birds”-style must-have application. (And in fact, Angry Birds itself is set to launch location-based options according to this Mashable op-ed on Location-Based Gaming .) Using GPS and augmented reality, these applications have the ability to fundamentally change the way we interact with the world around us. How cool is that? What location based applications have you been checking out lately? Where do you see this technology heading? Share with us in the comments, or let me know on twitter @Community20. Jamie will be presenting “Delivering Happiness” at the 9th annual NACCM event. As Speaker of the House at Zappos, Jamie works directly with CEO Tony Hsieh, focusing on the culture for which the company has become known. Learn the different ingredients used by Zappos.com to build a long-lasting enduring brand, including the importance of customer service and company culture. Jamie’s one key takeaway: How to Deliver Happiness through Service! Learn more about her session and the NACCM event by downloading the brochure here. Online access panels, natural communities and online research communities ‘ what, when and why?!? Online, Social Media Monitoring, Research Communities ‘ It has been a long time ago since market research was affected by that huge amount and speed of change. Not only in order to marketing their own services, but also to face the challenges new words, phrases, tools, brands and so on have been established. No wonder that confusion sometimes is still quite large. One approach that became a popular representative of new methods in a short time is the approach of online research communities, also known as Market Research Online Communities (MROCs). So we don’t talk about access panels with a focus on quantitative research and we don’t talk about natural communities full of customers’ conversation, like brand communities, Facebook pages or topic related community sites. But of course these sources can help us finding and recruiting the right participants for an appropriate Online Research Community. For example people from Online Access Panels are used to the internet, but they are probably not used to community tools and have a lack of willingness to participate over a longer period of time. On the other hand people from a natural community like a branded site or a Facebook page have rich experience with a specific topic as well as with the community tools but maybe they don’t want to participate in market research. And sometimes, especially if you are not the owner of the natural community, it might be difficult to talk to the community members. We will learn more about research communities at The Market Research Event 2011 in November. If you look at the program you will see that IIR USA has planned a whole track for this topic. It will be interesting to follow the “Social Media & Communities” track on Monday. About the presentation: A world renowned expert on the subject of choice, she says that choice can provide a sense of freedom and control that is essential to our well-being. It is the most powerful tool we have to shape our lives, to go from who we are today to who we want to be tomorrow. Unfortunately, the misunderstanding and poor practice of choice often undermines its many benefits and leaves us frustrated, overwhelmed and unhappy. In her critically acclaimed book The Art of Choosing, called ‘refreshingly thought-provoking’ by The New York Times and ‘a page-turning narrative that blends academic rigor with a pop culture sensibility’ by The Boston Globe, Sheena shines a bright light on the many different facets of choice, exposing it in all its mystery, complexity and compelling beauty. The Art of Choosing is ‘provocative rather than prescriptive’ (The Wall Street Journal), raising questions that many of us have never asked ourselves but should. Sheena’s inter-disciplinary research on how and why we choose, and what we need to do to choose better, has surprising and profound implications for our personal and professional lives. Her insights are invaluable to executives looking to improve strategy, leadership and customer relations. In association with Vitrue, The Institute for International Research invites you to join us for a one hour complimentary Web Seminar. Most brands & businesses are already on Facebook and have been managing their page(s) in a variety of ways, some effective and some not so much. In this discussion we’ll review topics that will help business optimize their visibility in the home page news feed, ensure the conversations they start are as relevant as possible to their overall fan-base and their responses are timely and cut through the clutter. Mastering your social conversations on Facebook can be a lot of hard work, but with the right approach and the right technology it doesn’t have to be as difficult as you might think. Register Now. After registering you will receive a confirmation email containing information about joining the Webinar. 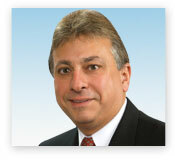 Chad Estes is Vitrue’s VP of Client Services. Chad brings over 13 years of experience in managing strategic client relationships and designing cutting-edge online solutions. He has a strong passion for exceeding client expectations and firmly believes it’s Virtrue’s people that sets them apart from the competition. Having joined Vitrue in 2007, in a product management role, he now leads the Strategic Services, Account Management and Customer Support departments to provide industry-leading service to its clients. Vitrue is a leading social media publishing software provider that provides marketers o f all kinds – Fortune 1,000 brands, agencies and small businesses – with the tools they need to harness the power of social media. Our solutions combine a comprehensive social media platform with turnkey products that drives customer acquisition and brand awareness – while at the same time engaging stakeholders, fostering collaboration, building brand loyalty and providing customer service. The Institute for International Research (IIR) is the world’s largest conference company and has been the leader in the provision of business information for over 25 years. IIR produces over 5,000 events annually through its network of offices in over 35 countries. Is Social Customer Relationship Management or “Social CRM” the “next big thing” in the social media world? The concept is nothing new, (when it comes to brands, what is social media good for if not building and strengthening relationships with customers?) but the best way to find, mine and integrate social media data for CRM is still being debated. Is your company part of that 26%? Do you think that number has grown since the article was written? With traditional CRM companies like Salesforce embracing the integration of social media data it seems likely. Is it possible to find and use that data, while still remaining social and engaged? Or does the very act of seeing social conversations as a source of data for a company get in the way of maintaining an effective social media presence or encouraging a thriving online community? There must be room for both. As the article later went on to say, it’s a matter of finding a CRM software for monitoring conversations, but relying on a human to know how to use and react to the data. If you’re interested in learning more about the Social CRM world, consider joining IIR for the Social Media CRM Symposium at the Total Customer Experience Leaders Summit. You can view ongoing coverage of the conference as details develop on the Customer’s 1st blog here or by following @TotalCustomer on twitter.